The Mekong Delta localities of An Giang, Can Tho and Kien Giang were given 21 sets of technical documents by representatives from the EU-funded project “Environmentally and Socially Responsible Tourism Capacity Development Progamme” (EU-ESRT) at a conference in Can Tho city on September 22. The localities have been supported by the EU-ESRT project since October 2014 to develop responsible tourism, focusing on managing destinations in the Mekong Delta region, developing tourism products, training human resources for tourism and building marketing plans. The localities have worked to promote their tourism products through fairs, and built a map of tourism sites and a code of conduct for responsible tourism in the region. 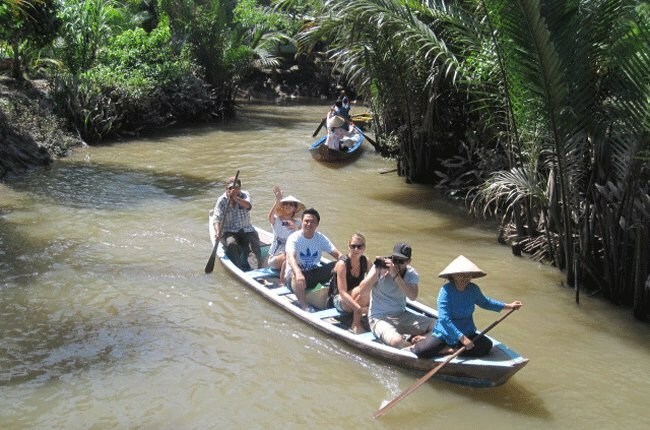 Since 2013, the EU-ESRT project has assisted Vietnam in promoting the delivery of environmentally and socially responsible tourism, building an effective tourism cooperation network between the State and the private sector, improving the quality and competitiveness of the tourism workforce and raising public awareness of responsible tourism. The project helps reduce negative impacts from tourism development on the environment and society as well as generating jobs and improving incomes, said Do Minh Tuan, a representative from the Vietnam Tourism Administration. Antonio Recca, a representative from the EU Delegation to Vietnam said the project has fostered regional tourism connections, contributing to developing tourism in the Mekong Delta. Apart from the Mekong Delta region, the EU-ESRT project has also supported a number of key tourism areas, including those in northwest, coastal central and northern central regions.